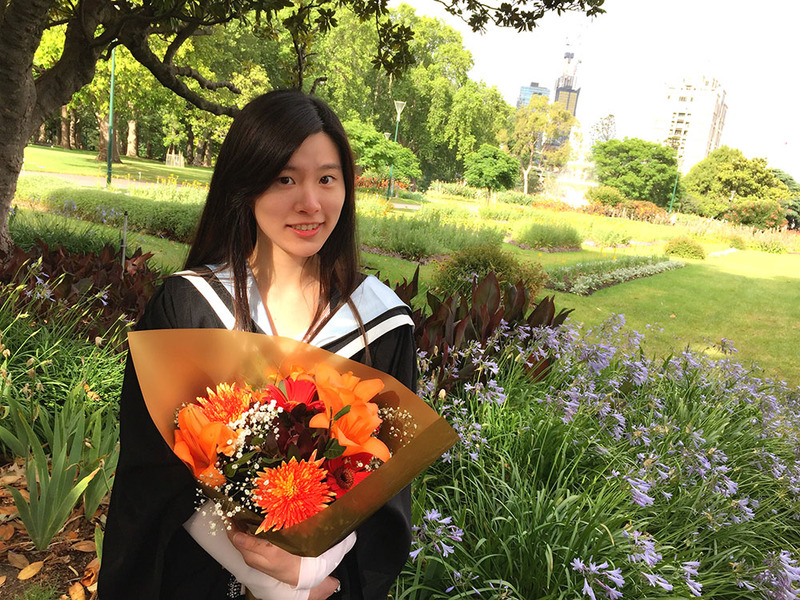 Ting Huang, a recent Bachelor of Commerce graduate, is one of a number of students to benefit from a First in the Family Scholarship from the Faculty of Business and Economics. Ting Huang, a recent Bachelor of Commerce graduate, is one of a number of students to benefit from a First in the Family Scholarship from the Faculty of Business and Economics. She shared her experience and described the difference the scholarship has made with the FBE Advancement team. "The First in the Family Scholarship helped me to maintain an average of H1 results and participate in many programs offered by the University. It enabled me to participate in the capstone subject Global Management Consulting, for which I travelled to Singapore last July. It was the highlight of my year!"